On 20th September CILA members elected Luke Exford to the role of CILA President. Luke qualified as a Chartered Loss Adjuster in 1998 and has served on the CILA Council for 16 years, which includes 7 years as Chairman of the CILA Examination Committee. 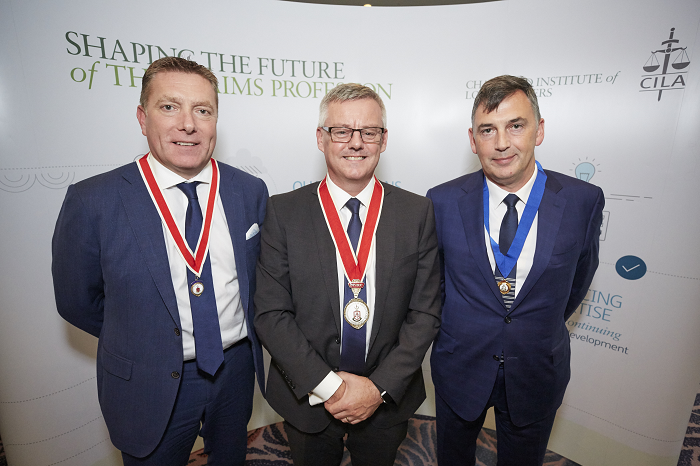 Luke spoke with emotion on how honoured he was to accept the role and gave his commitment to supporting CILA members and promoting the loss adjusting profession during his year in office. Luke will be supported in his year of office by Graham Smart of McLarens who was elected as the CILA Deputy President.